Sanfrecce Hiroshima, one of the J. League’s ten original members, were finally crowned as champions for the first time ever on Saturday afternoon after thrashing Cerezo Osaka 4-1, while closest challengers Vegalta Sendai suffered a shock 1-0 loss at home to Albirex Niigata. In front of an expectant crowd of over 30,000 people at the Big Arch, Sanfrecce came out of the blocks quickly to open the scoring after 17 minutes. Yojiro Takahagi’s attempted pass was blocked by a Cerezo defender but rebounded straight back to him to fire home first time from 25 yards. Their lead was quickly doubled when Kohei Shimizu’s overhit cross was brilliantly headed back across goal by Hironori Ishikawa for midfielder Toshihiro Aoyama to finish. The match was effectively ended as a contest five minutes before the break when Hotaru Yamaguchi was somewhat harshly dismissed for a push on Shimizu, and Hisato Sato dispatched the resulting penalty into the roof of the net for his 22nd goal of the season. Ishikawa scored his first ever J. League goal with a confident finish five minutes after the restart to make it four, before Takuma Edamura headed a consolation for the beaten visitors. Attention then switched to Sendai, where Vegalta had begun the day a point adrift and faced a Niigata side needing a win to have any chance of survival. Shingo Tomita hit the post after just four minutes as the hosts looked to take the game to their opponents, but they were stunned on 17 when Albirex midfielder Yuta Mikado raced onto a Michael through ball and cut the ball across the six-yard box for left-back Kim Jin-Su to slot home. Ryang Yong-Gi thought he had equalised for Sendai later in the first half, only for the linesman to rule that the ball had travelled out of play before Shingo Akamine had headed it back into his path. Makoto Teguramori introduced Kunimitsu Sekiguchi and Takayuki Nakahara to add weight to the Vegalta attack in the second half, but despite a desperate six minutes of stoppage time they were unable to break down a stubborn Niigata defence as their title dreams finally slipped away. 2005 champions Gamba Osaka will go into the final day still in the bottom three after they could only draw 2-2 in their last home match against FC Tokyo. Two goals from Akihiro Ienaga looked to have put them on course for a much-needed victory after Yuhei Tokunaga’s opener for Tokyo, but Kazuma Watanabe equalised with six minutes left on the clock as Gamba once again crumbled when trying to defend their lead. Omiya Ardija are safe after extending their incredible late-season unbeaten run to ten matches with a 2-0 victory over Jubilo Iwata – Shin Kanazawa’s superb curling opener into the top corner of the net followed up by a second from Daigo Watanabe. Dutra pounced on mistakes by Nagoya Grampus defender Daniel then goalkeeper Seigo Narazaki to net a brace for Kashima Antlers as they sealed their own survival with a surprise 2-1 away victory at the Toyota Stadium. But Vissel Kobe slipped to a 1-0 defeat at outgoing champions Kashiwa Reysol, with Jorge Wagner hitting a low shot across goalkeeper Kenta Tokushige from well outside the penalty area for the winner after the visitors had seen Hideo Tanaka dismissed for two yellow cards in the first half. Gamba are now one point behind Kobe and three behind neighbours Cerezo, with a significantly superior goal difference. Niigata are now only one point further adrift in 17th position and have a home fixture against Consadole Sapporo, who only have 14 points in total, on the final Saturday. In the battle for the third automatic AFC Champions League place, Sagan Tosu continued to defy all expectations by defeating Urawa Reds 3-1 to climb to third in the table. Many had predicted an immediate return to J2 for the top flight debutants this season, but a brace from Yohei Toyoda either side of Ryunosuke Noda’s volley has put the Kyushu outfit in pole position for an Asian campaign next year. Kashiwa, Urawa, and Nagoya are all just a point behind, but if all three fail to win next Saturday then Yokohama F. Marinos can steal the ACL berth with victory at home to Tosu. 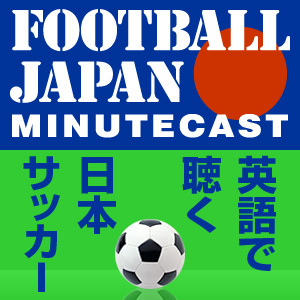 Marinos won 2-0 in Sapporo yesterday, while in the remaining fixture, Kawasaki Frontale beat Shimizu S-Pulse 2-1. -	Takenori Hayashi scored a dramatic late winner against his former club, JEF United Chiba, to take Oita Trinita back into J1 with a 1-0 victory in the inaugural J2 playoff final at the National Stadium in Tokyo on Friday.